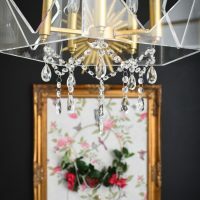 Y’all know I love me some bling and sparkle, and it is a truly easy DIY to add crystals to a chandelier. Now, I will preface this by saying that for my tutorial to work, your chandelier arms/parts have to be metal so that magnets will stick to it. Go quickly grab a magnet and test it out…I’ll wait. 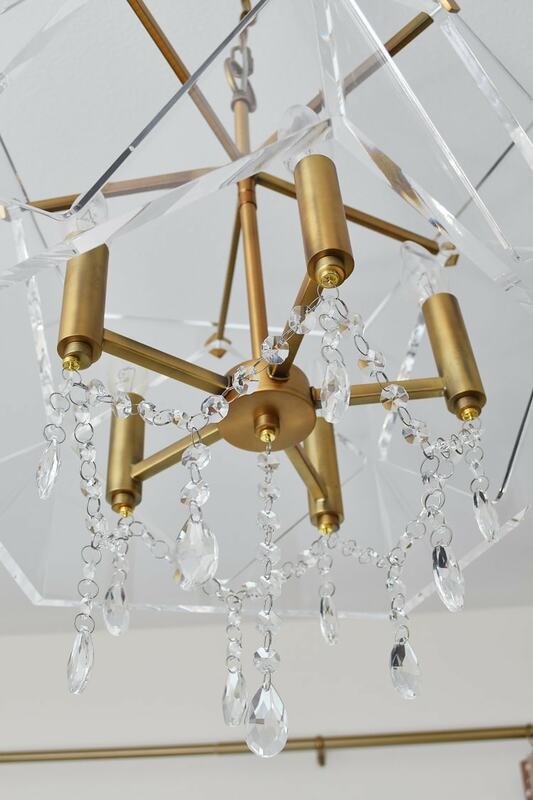 You might be thinking, “Wouldn’t a chandelier already have crystals?” and I guess you could technically be right, but some light fixtures are called chandeliers and don’t have crystals. Confusing, I know. 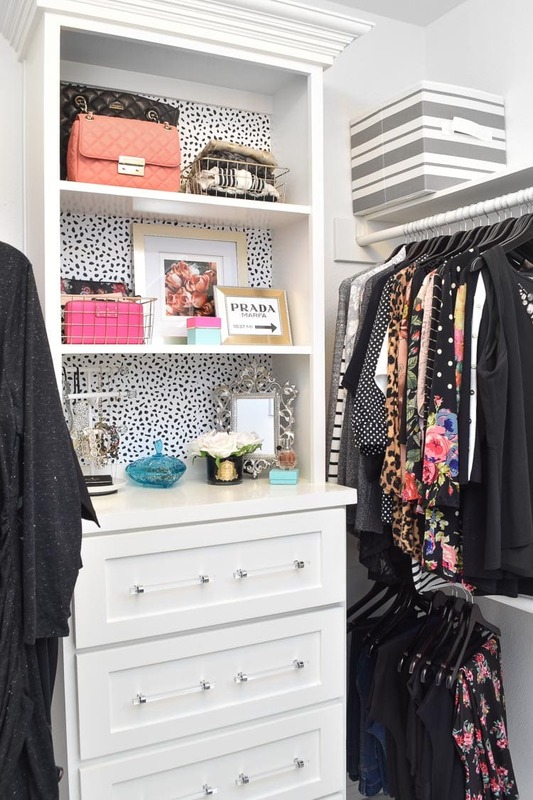 But what home decor item isn’t made better with a little bit of sparkle? Honestly, I adore it, it was perfectly fine as it was, but I couldn’t resist trying to bling it out some more. This shouldn’t surprise you all if you’re longtime readers. Being the thrifty maven I am, I found a better, cheaper, more custom solution that came in at about $30 all in. I even had a TON of crystals left over to fully deck out my Christmas tree in my master bedroom, so this means you could feasibly deck out two chandeliers for $30. 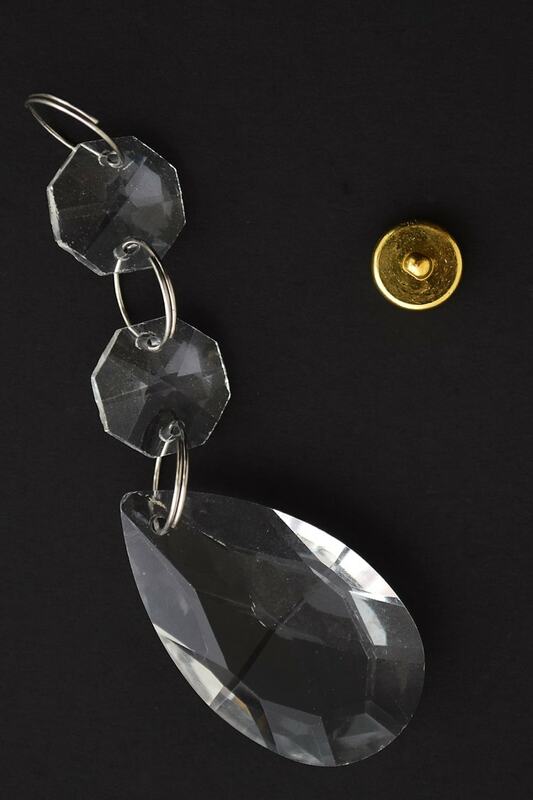 *There are different styles of magnetic clasps, and I opted for some that can hold heavy beads and such since the prisms can get heavy once they're all strung together. Not a single one has fallen, and they have been up for many months at this point. Also, make sure to order a finish that is closest to the color of your fixture arms. This process may take a bit of trial and error. 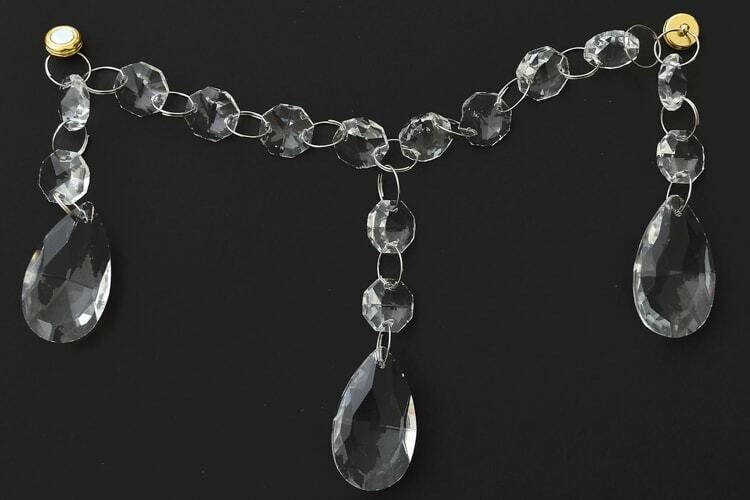 However, it's totally easy and as long as you're consistent in the number of crystals (from the strands) you connect from prism to prism (the larger chandelier drops), you'll be fine. My chandelier is directly in front of a window, and I love the light that bounces off these prisms. So while they're not Swarovski crystal, I can with great certainty state they are gorgeous, sparkly and look like a million bucks for a heck of a lot less. I took apart the magnetic clasps by simply pulling them apart since they're magnetic. I assembled all this on my desk and then put it up on my chandelier via the magnets. This is because I hate working overhead and felt this was easier- do whatever works best for you. I attached one of the large prisms to a single magnet clasp. My prisms came with two smaller crystals and then the prism itself at the bottom. You can choose to add more of the small crystals from one of your strands if you want to add length to the prism. 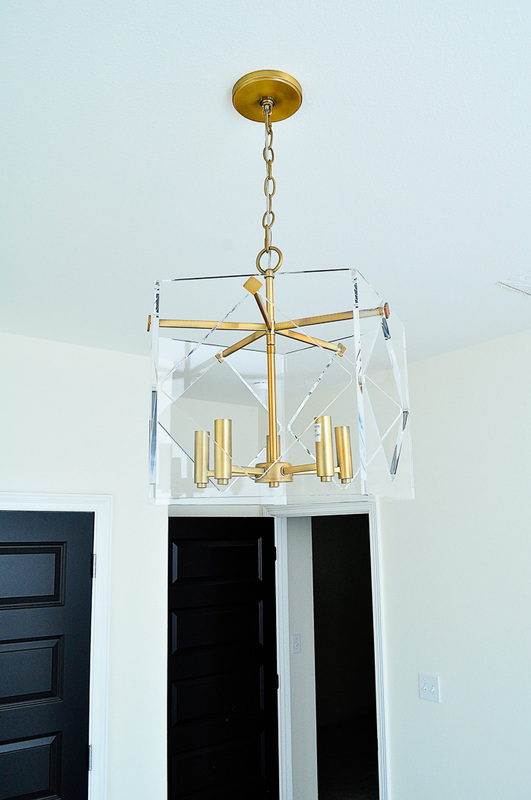 Repeat step 2 for each arm of your chandelier or light fixture. I ended up with 5. 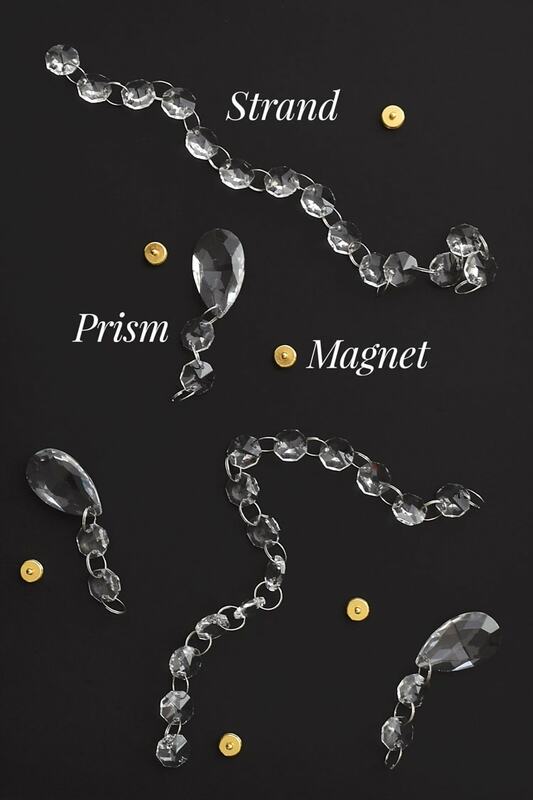 Decide how many crystals should be on each strand to create a swag that connects each prism/clasp to one another. I believe an even number works best- I used 8. Connect each end of the 8-crystal strand to a clasp. You will likely have to remove crystals from the strands by opening up the ring. To add even more prisms, between crystals 4 and 5 of each of the swags, I added another large prism to really add more sparkle and some interest. If you're keeping count, you've now used 10 of your larger prisms. Keep doing this until you're done and have a circle of sorts. 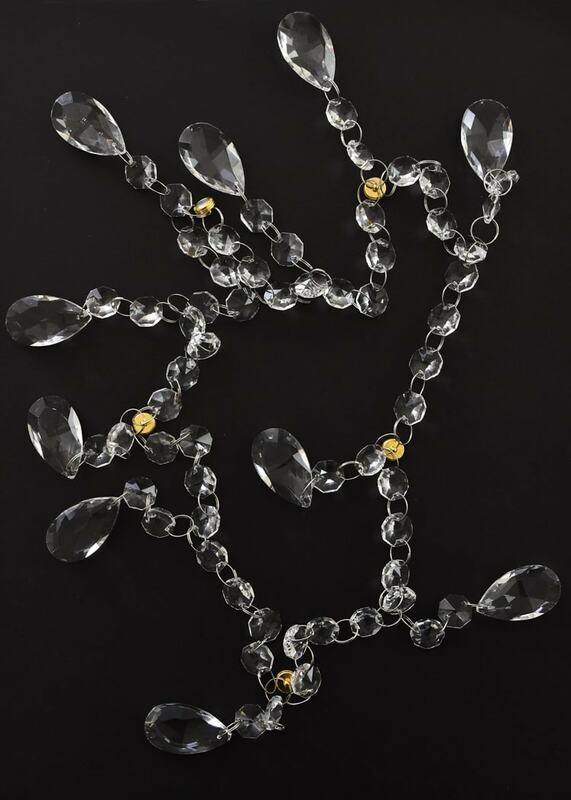 I ended up not using crystal strands to swag to the center of my chandelier because it looked cluttered and instead opted to use a prism and extra crystals for length so it hangs lower than all the other ones. If you've assembled this on your desk, now is the time to take it over and get your magnets in place and be done! 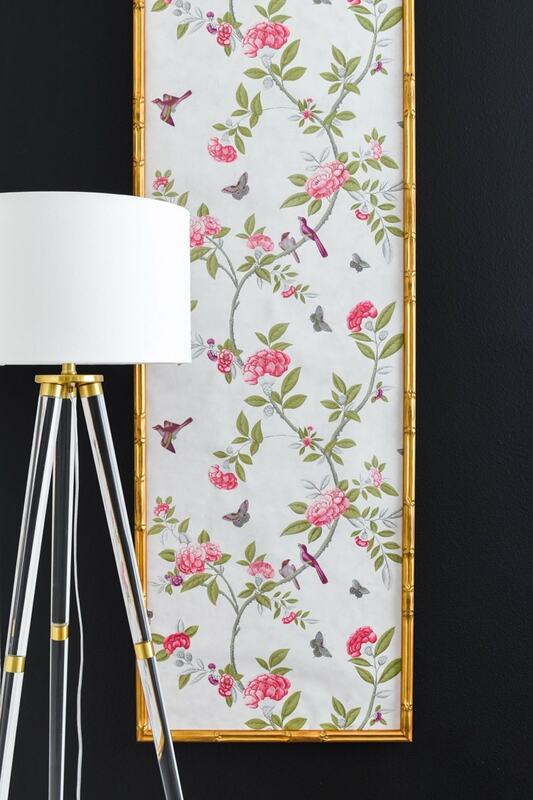 This is such an easy way to make any light fixture a bit more glam. 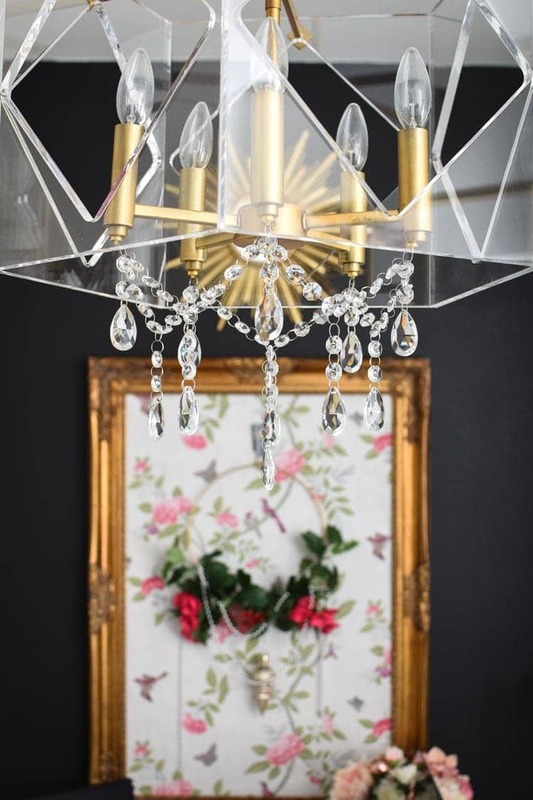 This is also a great idea for chandeliers that you may find in thrift stores or antique stores that are missing crystals or prisms. 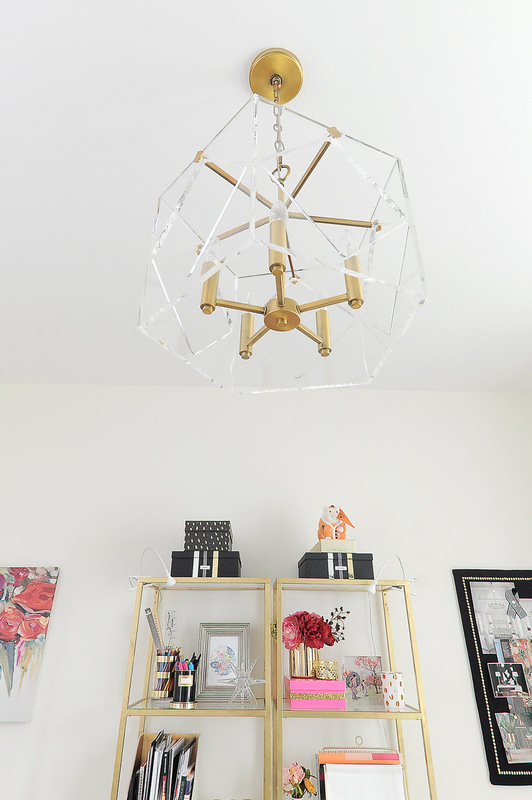 I couldn’t be happier with this lucite chandelier and the price cannot be beat. And if you end up super tired of it, it’s easy to take it off. You can always use the crystals for Christmas or holiday decorations. 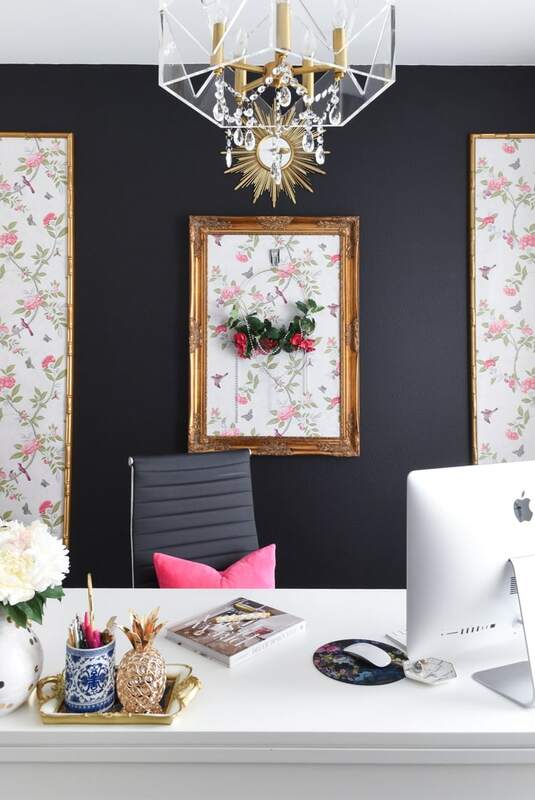 What I love about projects like this is that you can quickly make an impact on a whole space for not too much money. While I love my very involved, intricate DIY projects just as much, there’s immense satisfaction in getting something done fast so I can get back to cuddling with Pee Wee and watching Gilmore Girls. 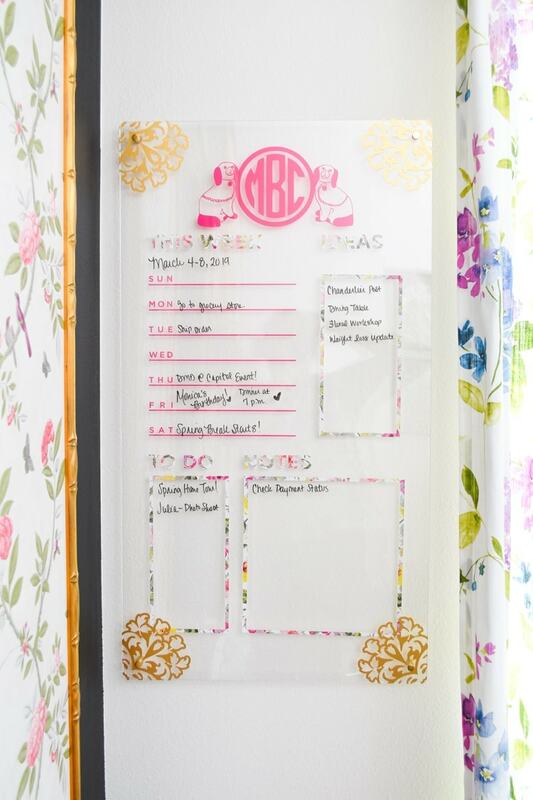 Looking for more DIY projects to be inspired by? Here’s some you may enjoy! This is beyond genius and looks amazing. What a great idea. I love it. Thanks for sharing. You are always so inspiring.